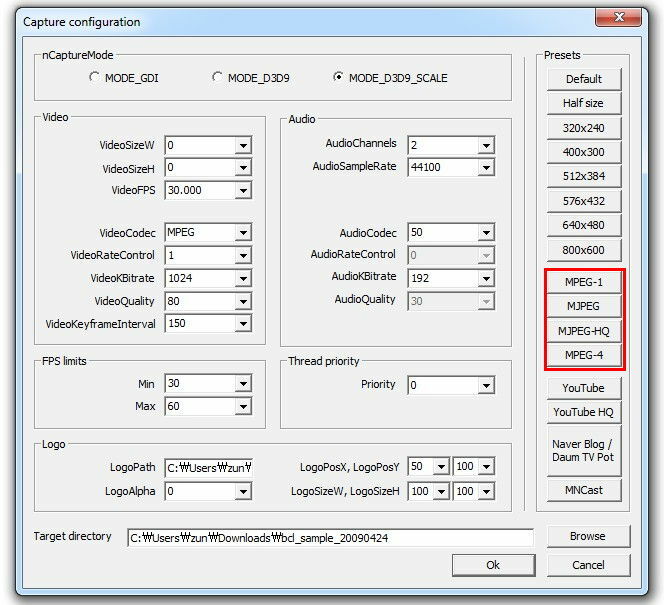 The file below is a sample program that can test the performance of Bandicam Capture Library. 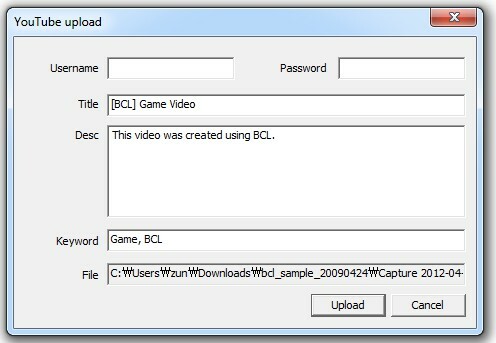 Download the sample program, and execute BandiCapSample.exe. After that, you will see the program like below. Press 'F11 or Scroll Lock' to start/stop recording. The captured video file will be saved in the program folder. Click F9 key to open the configuration window. If you choose MJPEG codec, you don't have to install any codecs. However, if you choose MPEG-1 codec, you may have to install Bandicam MPEG-1 Decoder or FFDSHOW. If you check "YouTube Upload" in the sample program, you can directly upload the recorded video to YouTube. You may try Bandicam to test the performance of Bandicam Capture Library. 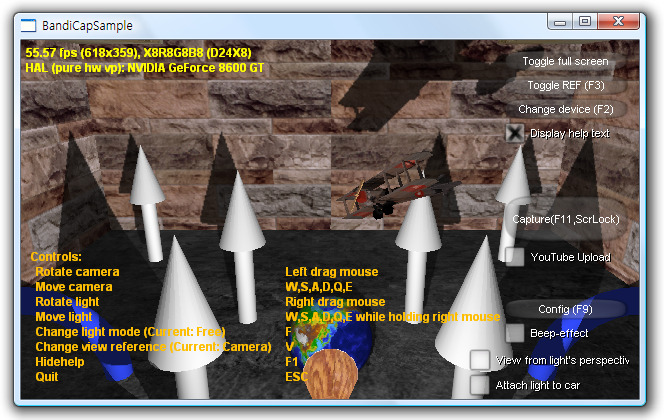 Bandicam uses Bandicam Capture Library that records DirectX/OpenGL programs including your games/applications.